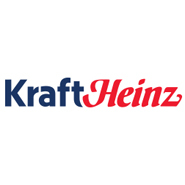 Kraft Heinz (NASDAQ:KHC) raised some eyebrows recently as the food and beverage company failed to file its fiscal 2018 financial report to the Securities and Exchange Commission (SEC) on a timely fashion. Kraft Heinz was able to garner an extension for its 2018 10-K with the SEC as the business was able to file on March 14 following a late February request for the move. The agency said it believes that the issue linked with the 10-K and the first quarter of 2019 is likely to be resolved, leading to a downgrade of only one notch, barring any unforeseen uncovered negative information that could be detrimental to Kraft Heinz. KHC stock is down 0.8% on Monday. Article printed from InvestorPlace Media, https://investorplace.com/2019/03/kraft-heinz-news-khc-stock/.